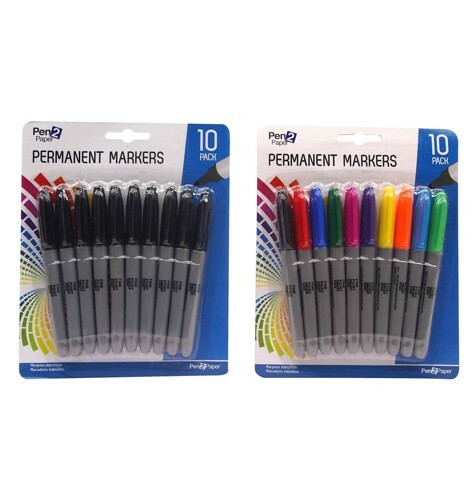 Permanent Markers Blk/Mixed 10Pk. 13.2 x 1.2cm. Mixed: Black l Red l Dark Blue l Green l Pink l Purple l Yellow l Orange l Blue l Light Green. All Black Pack. PP l Ink. 9G Packaging: Backing Card.